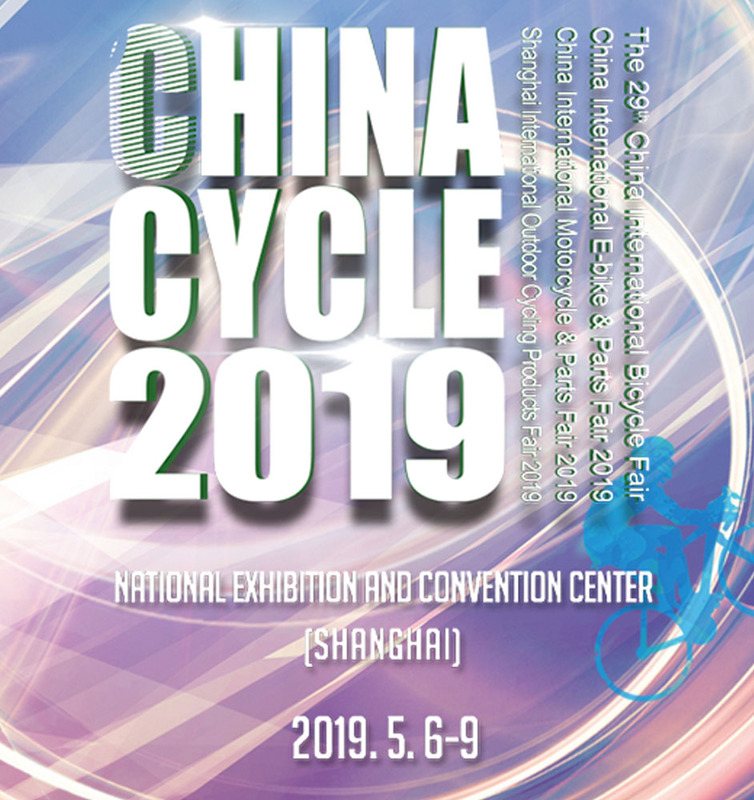 It's time to book a meeting with Marwi at CHINA CYCLE SHOW 2019. During the Taipei show 2014 in Taiwan Marwi Europe B.V. launched various new bottom brackets and very interesting headsets. The product group bottom brackets consists of steel cartridge bottom brackets, in 14 different lengths with steel cups including CrMo steel bolts. Also added are various sets high-end bottom brackets, external version, to be used in combination with Shimano and Sram crank sets and a reducer set which converts to a Shimano crank set (spindle 24 mm) in combination with frames with a bottom bracket shelf width 68 or 73mm. Marwi also introduced various "press fit" bottom brackets to be used in combination with Shimano and Sram crank sets and various reducer sets, which convert to a Shimano crank set (spindle 24mm) in combination with frames with a bottom bracket shelf width 68 or 86mm. Replacement bearing sets, packed per set of 2 are also added to this product group. The product group headsets up to now consisting of the headset HS-10 and HS-11, respectively for road racing bikes and mountain bikes, was extended with various high-end head sets for mountain bikes, integrated, semi-integrated, whether or not "tapered". 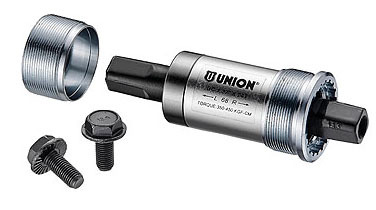 The bottom brackets and headsets come with high-end bearings. All products are packed in a handy consumer packaging in the new Marwi design and can be delivered from stock. 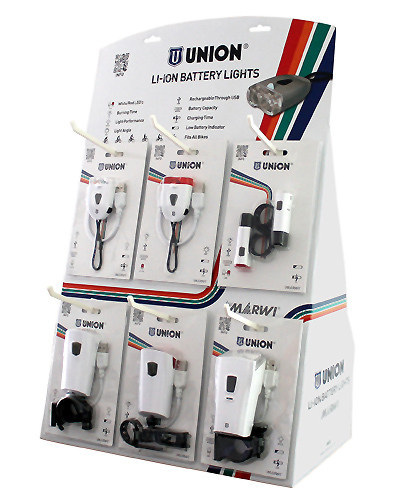 A complete line of UNION head- and tail lights with state-of the art USB chargeable Li-ion batteries is recently introduced by Marwi and now available. All lights are equipped with a "low battery"indicator, have a capacity of up to eight ours with performance up to 30 Lux and can be charged via de USB connection of a desk top computer or laptop. USB charging cables are included. A special point of sales display has been developed to support the dealers. This display can be used as a counter or wall display. The new Marwi consumer packaging comes with EAN, QR and URL codes. For all new models of head and tail lights, Marwi has introduced a very innovative way of digital communication. On the packaging of the bike parts is a QR code. When scanning the QR code with a smart Phone, the information is visible in the language that is set up on the appropriate smartphone. Through these QR-code smartphone users can receive product related information, on many Marwi products, in several languages. You will see: product features, product description, technical information and fitting instructions on. This new way of communication, offers the ability to convey, clearly and simply, the right information worldwide. Because the information remains stored on your phone, you have it always with you. 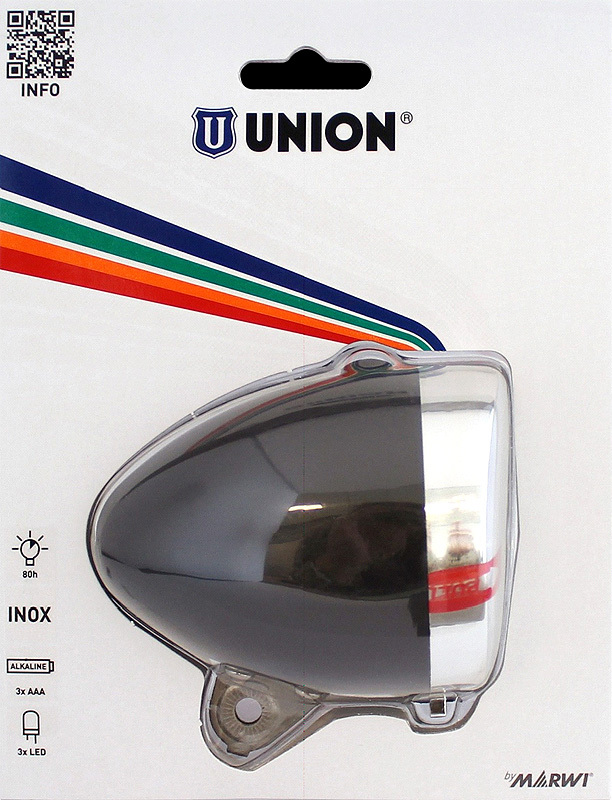 For example, using the UN-4900, a trendy battery head light with stainless steel holder for urban bikes, pictured here. Scan the following QR-code, on the new Marwi packaging, and view the result.